A home school science kit can launch your child on an exciting adventure. The great thing about science is that children become very involved and active in the experience, which helps the learning process even more. There are several options that your child has when it comes to learning science at home. You can purchase a good quality lab kit. These science kits are normally under $20 and come in varieties to match whatever subject you are studying. The other option is to improvise with different household items. A home school science kit will normally be very efficient for minimal costs. Sonlight provides some wonderful science kits. They provide kits for every grade from kindergarten through 12th grade. This makes it so easy to provide a great environment for science learning. The parent doesn't have to collect supplies each week for the science experiments that are scheduled. They can just follow the guide and know they have everything they need. Try to group each project around a concept of what you are studying, such as, sound, water, electricity, astronomy, and air. Once you know what you need for each activity, this can help you understand if you need to reuse anything from project to project, which helps to cut on cost and makes less work for you. 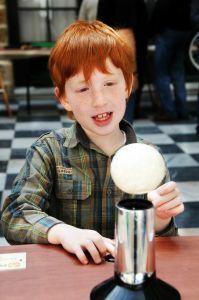 Making your own science kit can be loads of fun when you are able to involve the whole family. You don’t always have to explore indoors, but you can take your learning outdoors as well. Nature provides you with many options for science exploration, such as, the leaves, plants, flowers, sunshine, etc. You can also make a rock collection and reference each rock by identifying it and labeling it. There are reference books or resources on the Internet to help provide you with identification. A rock collection will help your child to know more about how the weather affects the rock’s properties. Another great option if you just want to use a book is to get a unit study homeschool kit like the one written by Susan Kilbride called Science Unit Studies for Homeschoolers and Teachers. She gives lots of good ideas of what to do for science for ages 4-13. She has some free units available to try before you buy. If you want to do unit studies for science but just don't know where to start, then let Amanda Bennett (the queen of unit studies in my book) give you a complete unit for a very reasonable cost. She has week long units, month long units or units that can last you the whole year! You can check out all she has to offer when you Click here to visit Unit Studies by Amanda Bennett. There are so many fun options you have when it comes to science and a homeschool science curriculum. Instead of giving your child loads of workbooks or small assignments to incorporate in their daily activity, give them the opportunity to explore and become engaged. This is where real learning will take place.